If you're struggling with an inflammatory skin condition, such as acne, psoriasis, or rosacea, you've probably tried a number of different solutions, from topical creams to diet changes, to improve the problem. But did you know that there's another underlying lifestyle factor that may be contributing to these frustrating conditions? Scientists have known for some time that the nervous system has a significant impact on conditions like psoriasis. In fact, if you disrupt the nerves that affect skin with psoriasis, the psoriasis improves. Local anesthetic has a similar effect, which gives strong evidence for the role our nerves play in our skin's condition. Our nerve endings release neuropeptides and neurotransmitters, chemicals that can affect the immune cells and endothelial cells in our skin. These cells in turn contribute to the presence or absence of inflammatory skin conditions. And what causes our nerve endings to release more of these inflammatory chemicals? It's stress! Stress has a major impact on our nervous system, which in turn affects skin inflammation. Anyone who has faced a bout of acne right before a significant event can attest to this. If you can reduce your stress levels, you may see a noticeable improvement in your skin conditions as well. In order to reduce your stress, first you need to recognize when you are stressed. Try keeping a log of times and situations that cause you to feel stressed, and do your best to minimize or avoid them. You should also schedule time to relax. Receiving or giving yourself a facial or using a skin-cleansing mask is a great way to double up on benefits for your skin. Of course, to have time to relax, you may need to improve your time management. Make sure you have enough time to complete the tasks required of you, and don't be afraid to say no to commitments you don't have the capacity to take on. Don't overestimate how much you can get done in a day; leave yourself some margin for the unexpected or for that crucial relaxation time. You'll also reduce stress — and benefit your skin — if you incorporate other healthy lifestyle choices. Make sure you're exercising, getting enough sleep, and eating a healthy diet. Avoid excess caffeine, and don't smoke. All of these choices factor into lower stress levels and healthier bodies. Unfortunately, for most of us, reducing our stress significantly may not always be possible. Making ourselves stronger using adaptogenic herbs will often make stressful situations seem less stressful. In the 1960s the Russians sent their cosmonauts into space with a supply of Siberian Ginseng that they took daily. Our astronauts drank Tang. The Russian cosmonauts had better stamina and adapted to earth upon arrival easier. Medicinal mushrooms, like those in Mycophyto Complex help make the body stronger and improve your body's response to stress. Since we will always encounter some level of stress in our lives, reducing stress alone may not eliminate your skin problems completely. 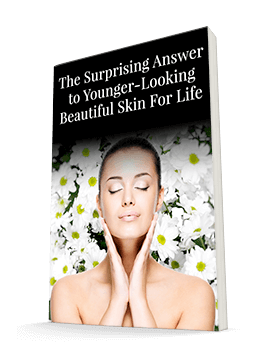 However, taking these steps along with using the right products for your particular skin issue, can go a long way toward eliminating the underlying causes of your complaint and helping you have beautiful, clear skin. That's one less thing to stress about!